Markets are the opportunity to get in touch with some parts of the culture of a country, region or city. 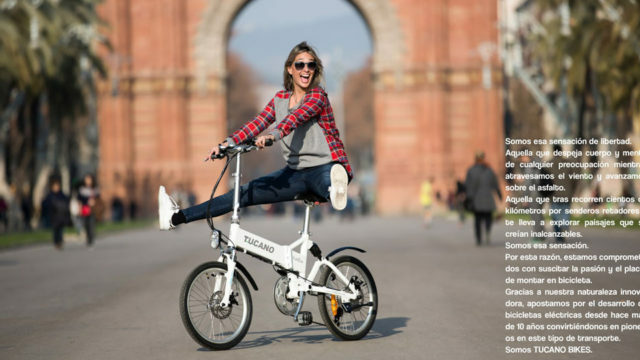 They are much more beautiful and fun than supermarkets and less formal than restaurants. 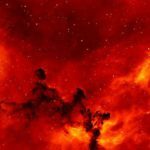 The markets offer a unique show. 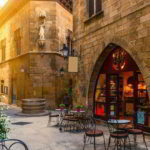 In Barcelona, ​​the cries of the salesmen who try to attract customers, the mixture of aromas of the freshest products on the multicolored shelves constitute an ideal universe for many of your audiovisual projects. 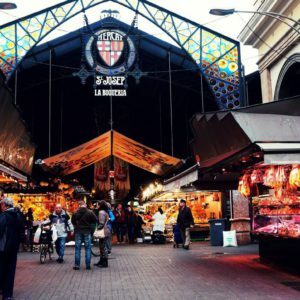 Visiting the Markets is beginning to know the city in a different way, being able to taste local food and living close to the native life of Barcelona. 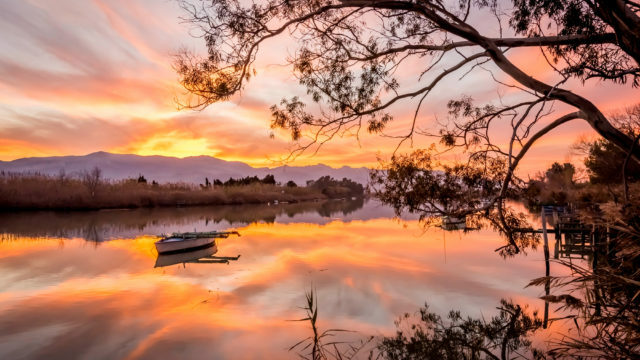 It is not easy to choose, each market has its own charm, some particularity that makes it special. 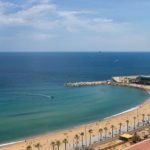 The RVD Media Group has made this list for you, so that you can have an overview of some of the most important and beautiful markets of the city of Barcelona. It gives you the opportunity to choose the most suitable as location for your next audiovisual production or photographic shooting. 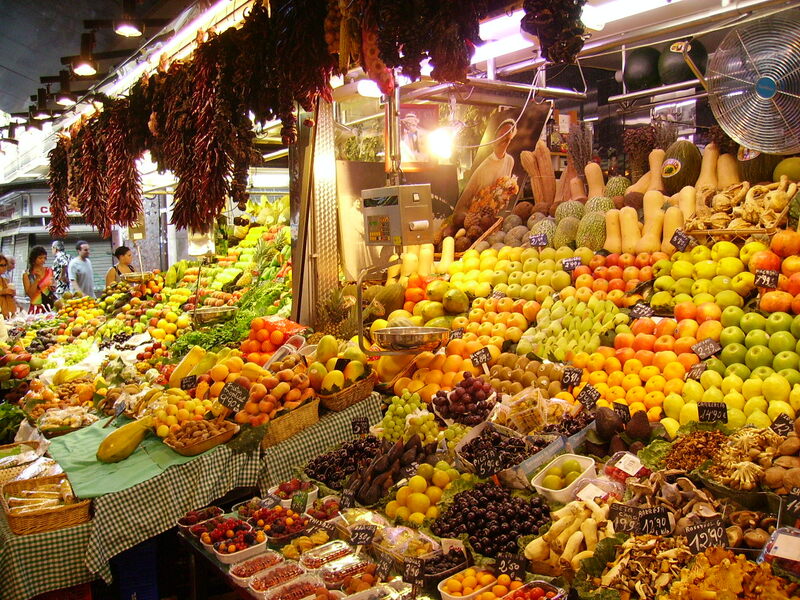 Probably the best known market in Barcelona. 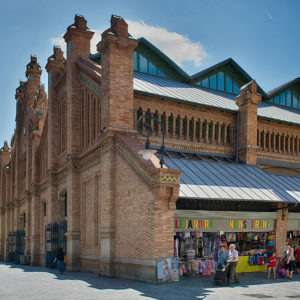 It is located on the Ramblas and is visited daily by thousands of tourists and locals in search of all kinds of products. From freshest to elaborate food from many parts of the world, not to mention the bright candy stalls, which will be a magnet for anyone. 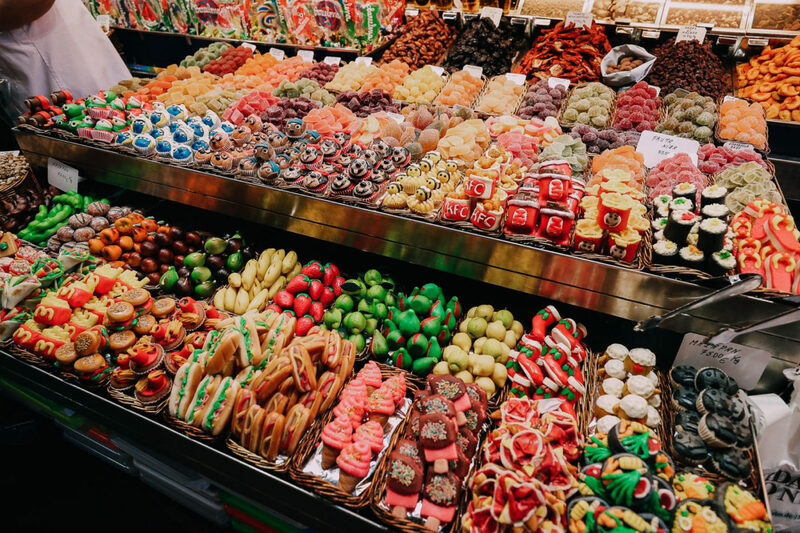 In its more than 2,500 square meters, 300 stands are distributed, ranging from butchers, fishmongers and delicatessens to dairies, fruit shops and others dedicated to Arab, Japanese, Greek and Italian food, to name some nationalities. 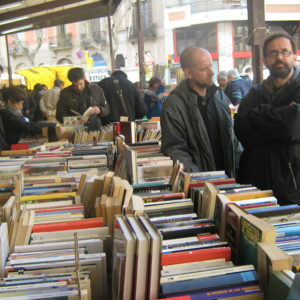 Nowadays this market is synonymous of modernity, you will be able to find there products of the most imaginative kind. Best of all, the stands have a lot of charm. Bright colors, perfectly aligned products and thus a great environment for your next audiovisual production or photographic shooting in a mythical location in the city of Barcelona. 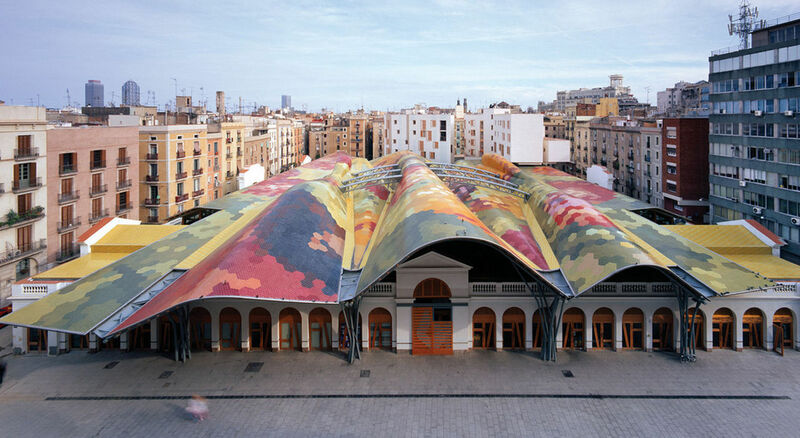 The Mercat Santa Caterina was the first covered market of the city, opened in 1848 and totally renovated in 2005. 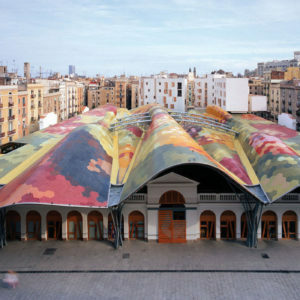 It is located in the historical center of Barcelona, near the Cathedral and the Palau de la Música Catalana. 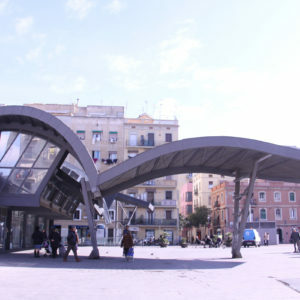 The Gaudi-style corrugated ceiling, with multicolored tiles, reminiscent of the range of colors of the different shops, and shelters all kinds of places: local fresh products, restaurants, florists. In addition, in the subsoil of the market you can see the remains of the old convent on which it was built. 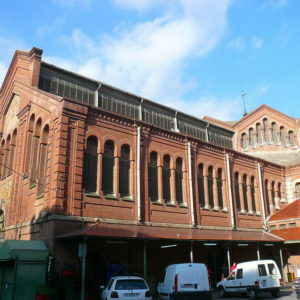 Since its renovation, the market offers fruits and vegetables, butchers and dairies, gourmet corners and stands with preserves, oils, spices etc. in an almost inabarcable collection of products. 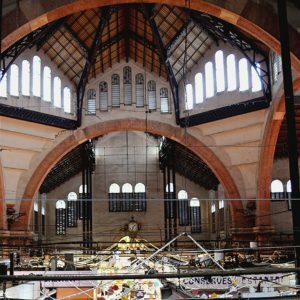 The market of Sant Antoni reflects the neighbourhood in which it is located: charming and overflowed by waves of tourists. 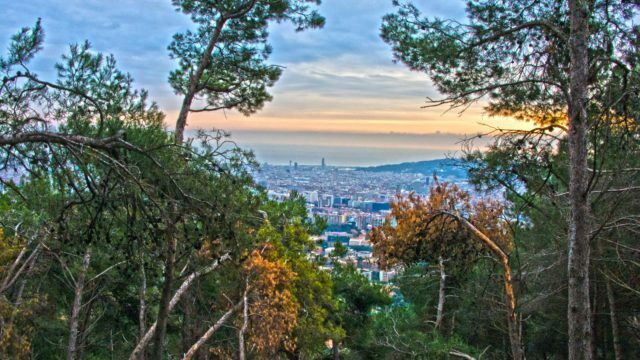 It is a must see if you are looking for a fusion of the daily life of the people of this neighbourhood of Barcelona. 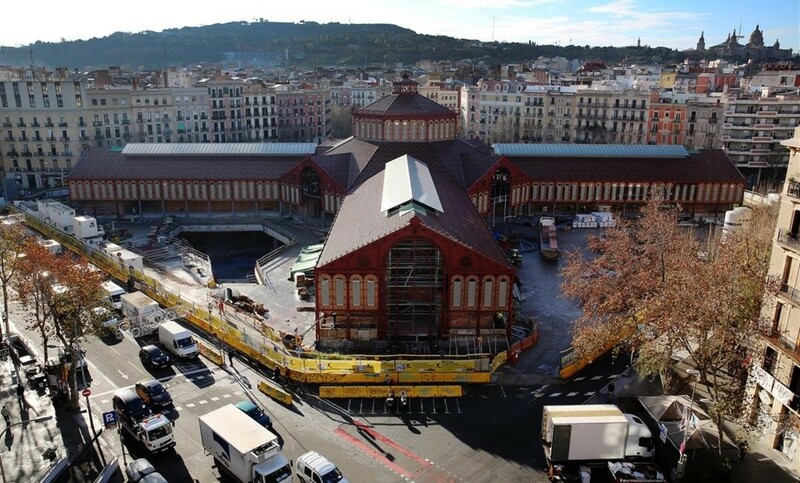 The Sant Antoni market is currently under construction and is expected to be finished in the spring of 2018. 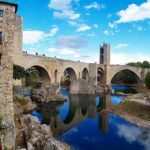 There is a temporary market located in the Sant Antoni Ronda. The merchants are the same but the atmosphere is not so nice. 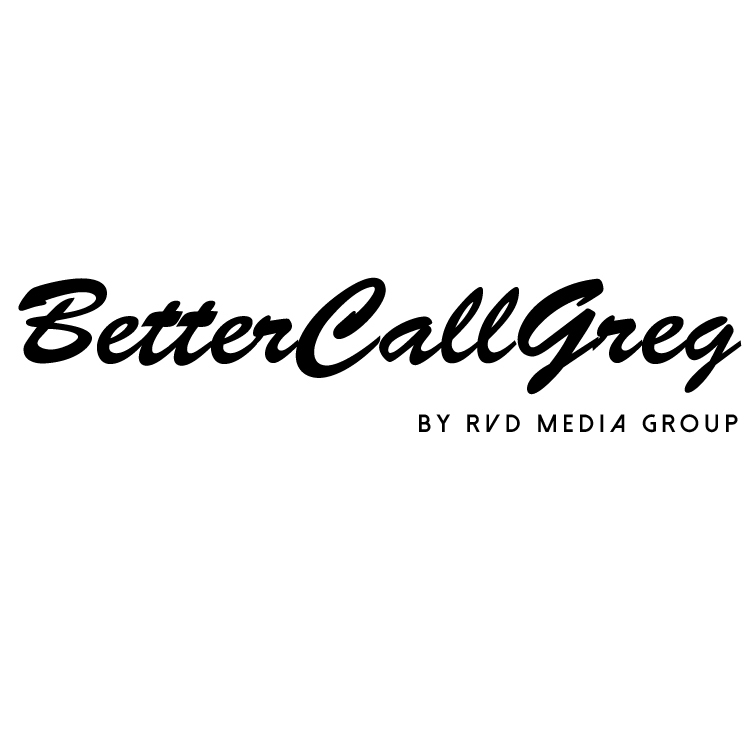 If you are planning to make your next audiovisual project in 2018, do not hesitate to take it into account. 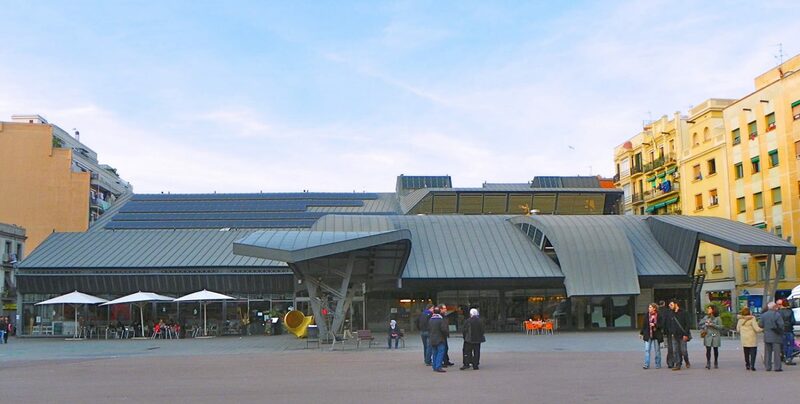 The Mercat de la Concepció is little touristy, although it is as full of color as the most. 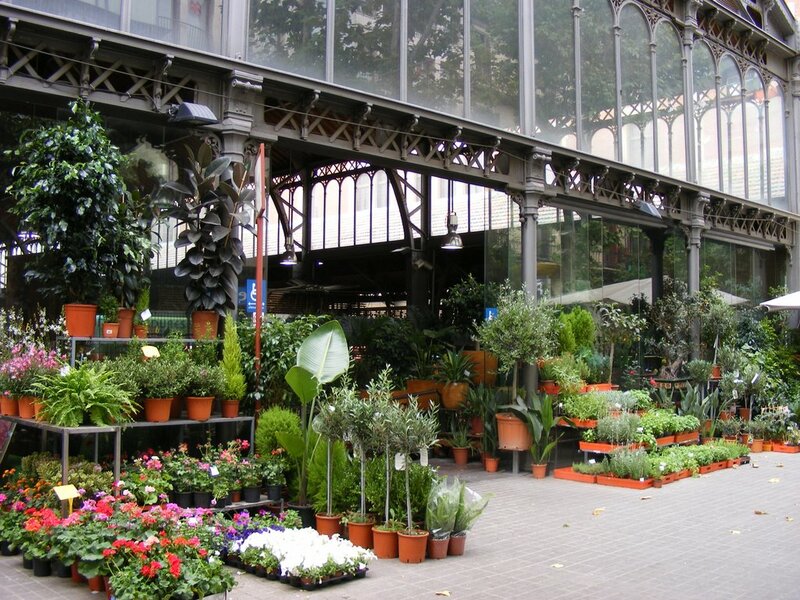 The flower market is open 24 hours a day and allows you to combine its culinary discoveries with a walk among the flowers through perfumed corridors. 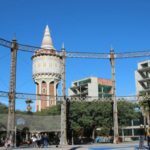 It was built in 1888 in the center of Barcelona, in the Eixample district, in an isolated building, between the streets of Aragon, Valencia, Bruc and Girona, with the main accesses in the streets of Aragon and Valencia. 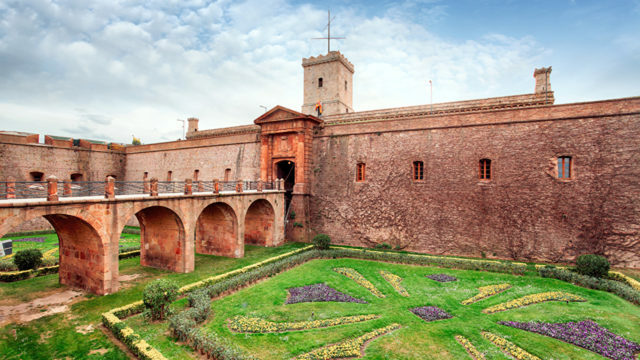 It covers an area of 4,010 m2, 105 meters long and 38 meters wide. 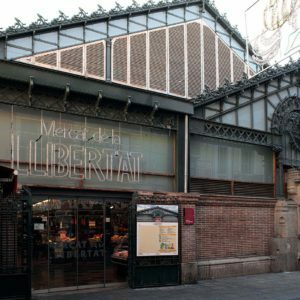 The market of the Llibertat of Barcelona occupies since 1888 the space of the old Plaza de la Constitució, where farmers used to sell their vegetables and birds. 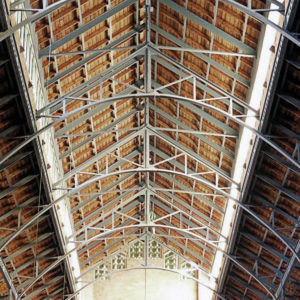 It has a great structure of iron and brick, designed to offer protection to all kinds of food: fruits and vegetables, fish, etc. 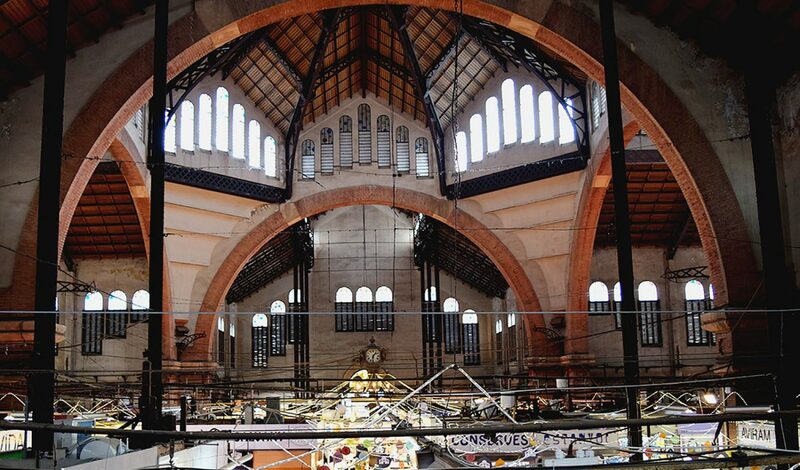 Inside, we see open spaces, wide and high, where we find food stands next to each other in the central nave and the two lateral bodies. 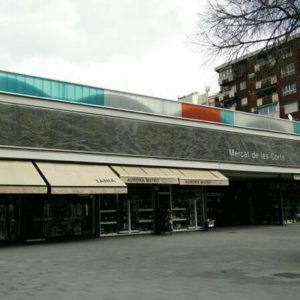 The initial building, although it has undergone several reforms to adapt it to the new times, conserves a good part of the modernist elegance. 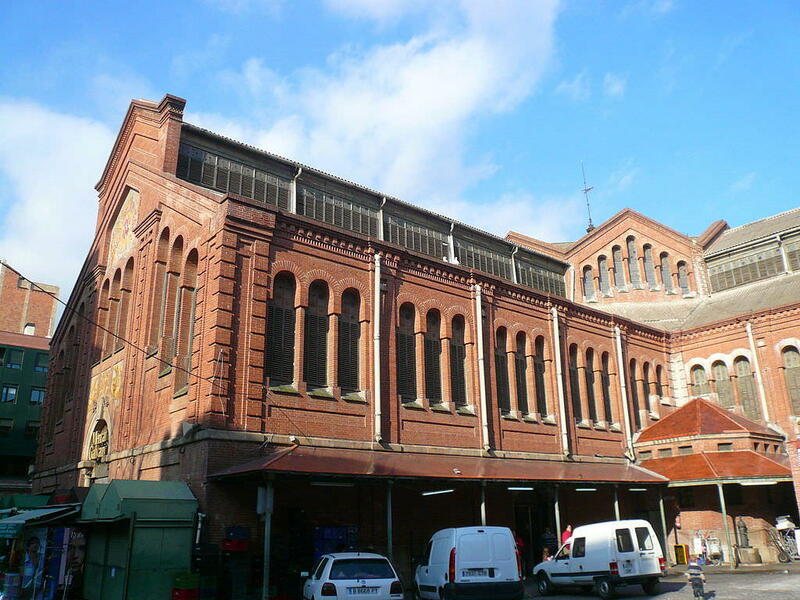 The Galvany Market is located on Santaló street, in the Sarrià-Sant Gervasi neighbourhood. 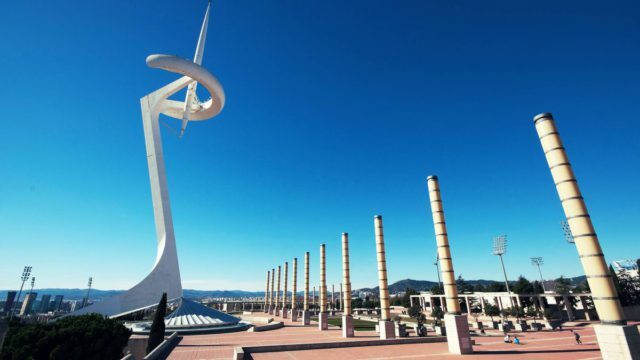 Its construction began in 1868, in 1927 it was inaugurated. 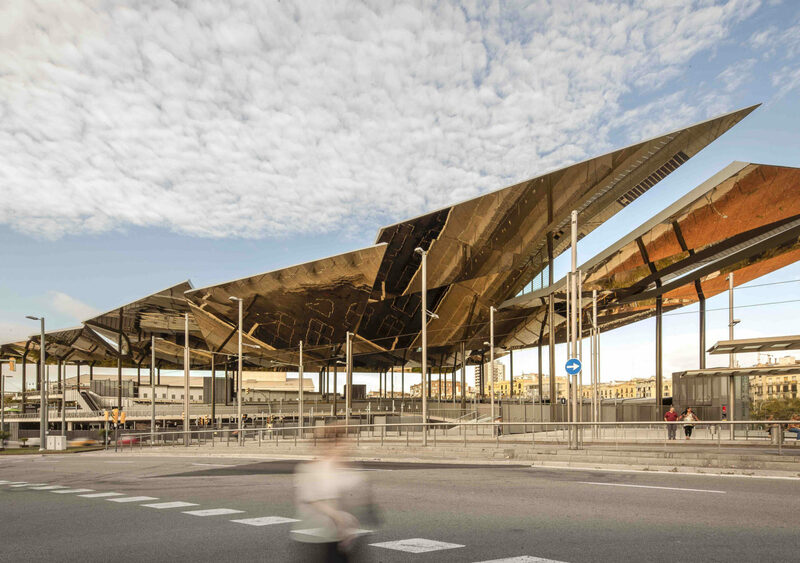 Its structure is of iron, with glass windows, giving it a sense of transparency. 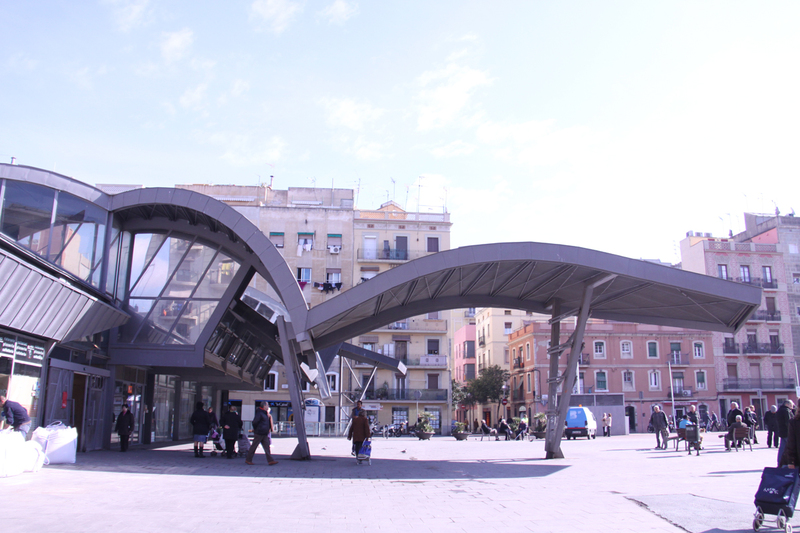 It is one of the most unique buildings of the city, being considered an artistic monument. 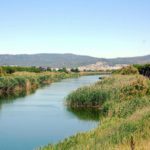 It has a total area of ​​5,504 m² of which only 842 m² are commercial area. 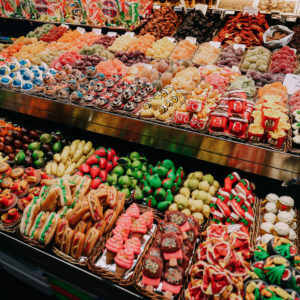 Its commercial offer is very wide: birds and game stands, eggs, tocinería, sausages, butchers, fruits, vegetables, legumes, cereals, fresh and frozen fish, seafood, salted fish, canned food, ecological products. 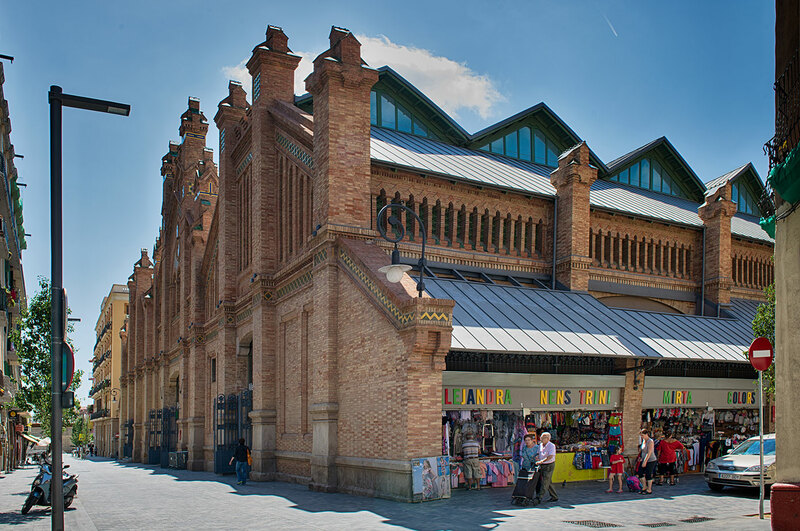 After five years of work, Mercat de Sants reopened in 2014, 101 years after its first opening, retaining its spectacular façade decorated with pottery and brick. 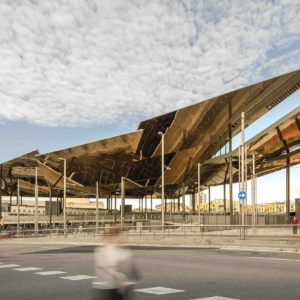 This fantastic modernist building, located in the Sants neighbourhood, offers 36 gastronomic stands where you can buy fresh ingredients, ranging from the most traditional to those most wanted by lovers of gourmet products, as well as some stands to taste the various presented dishes. 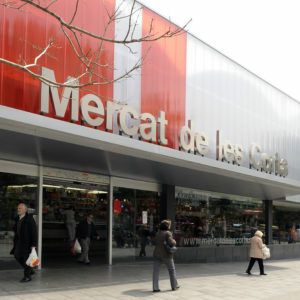 In total there are about 50 shops, including the 14 that sell clothes and there is a supermarket. 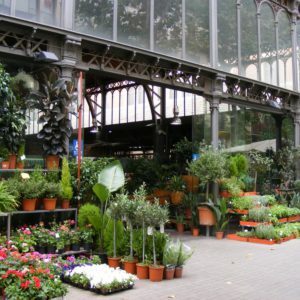 The Mercat de Sants is one of the network of Green Markets in Barcelona: markets where the consumption of local and ecological products, with environmental responsibility, is encouraged. 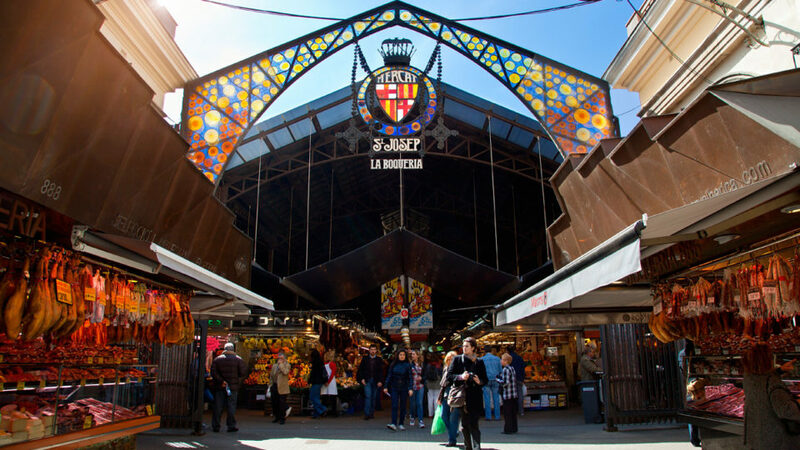 Among the narrow streets of the neighbourhood Barceloneta, originally of fishermen, we find the colorful Mercat de la Barceloneta. In what is considered the district with the longest fishing tradition in the city, this market is specializing in fish and shellfish. 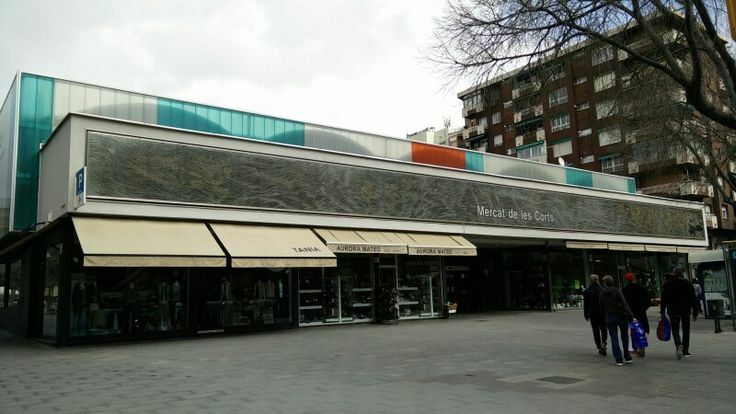 In the beginning it was held outdoors, but during the last third of the 19th century a modernist building was built to welcome it. 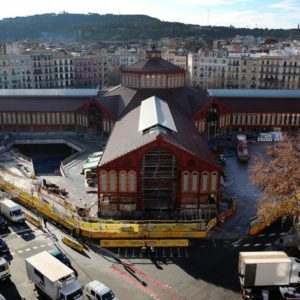 It was reconstructed after the bombings during the Spanish Civil War, and again a restoration was carried out in the last decade in which the original iron structure of 1884 was maintained. 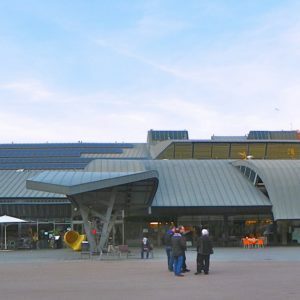 It has 34 food stands, a supermarket, two bars, three restaurants – one with a Michelin star – and some shops. 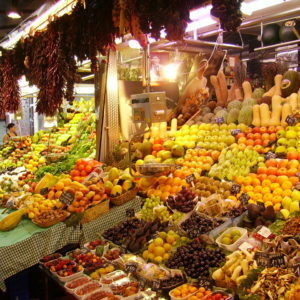 Mostly it is visited by people of the neighborhood and does not usually have so much presence of tourists, what is reflected in the good prices for which you can buy their colorful fresh products. 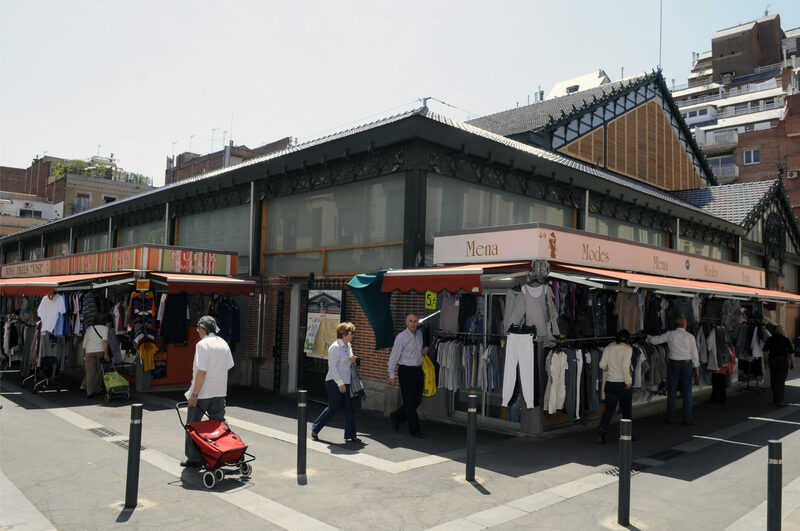 In the not so touristy district of Les Corts you will find this charming market built in 1961 in a structure – typical for that time – with a deck formed by arches. 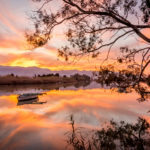 Little by little it began to become very popular and in 1993 – and again 15 years later, in 2008 – it was remodeled to adapt to the commercial changes and the increase of the flow of people who visited it. 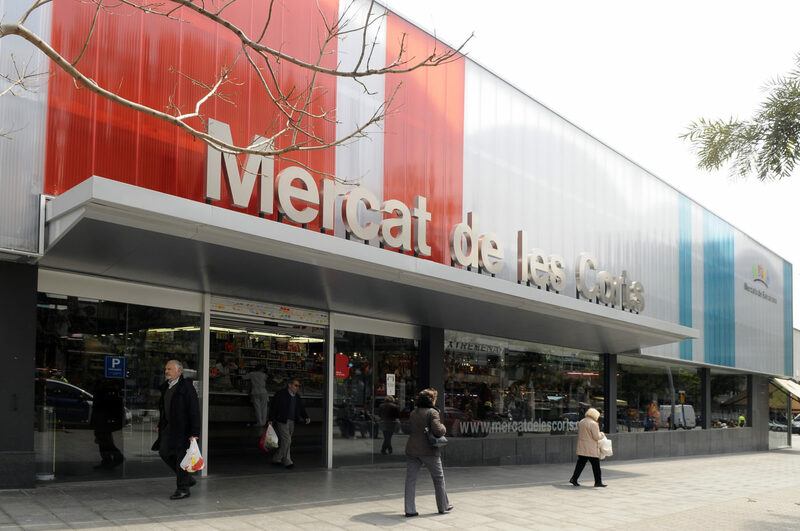 The Les Corts market sells a large quantity of quality food and in recent years it has managed to modernize and to add to its offer new proposals, to meet the increasingly demanding public that frequents it. So you can find there now also bio- products and delicatessen. 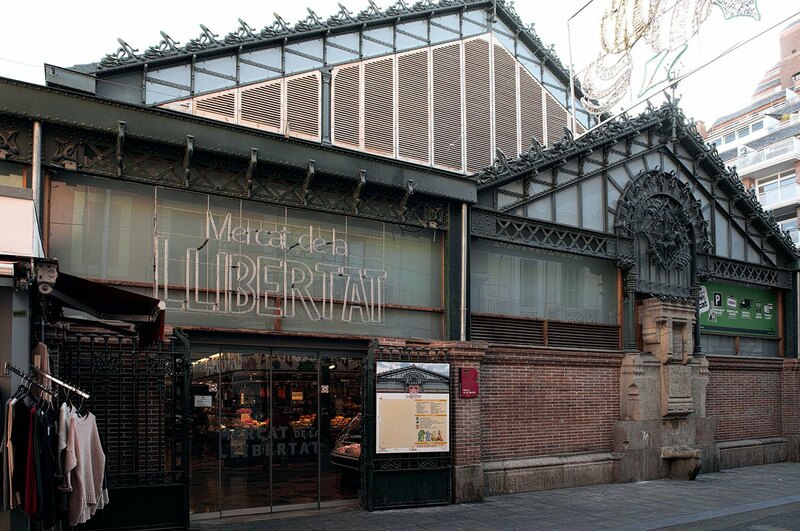 In the square of Les Glories you will find one of the oldest markets of the city, El Mercat of “Els Encants”. 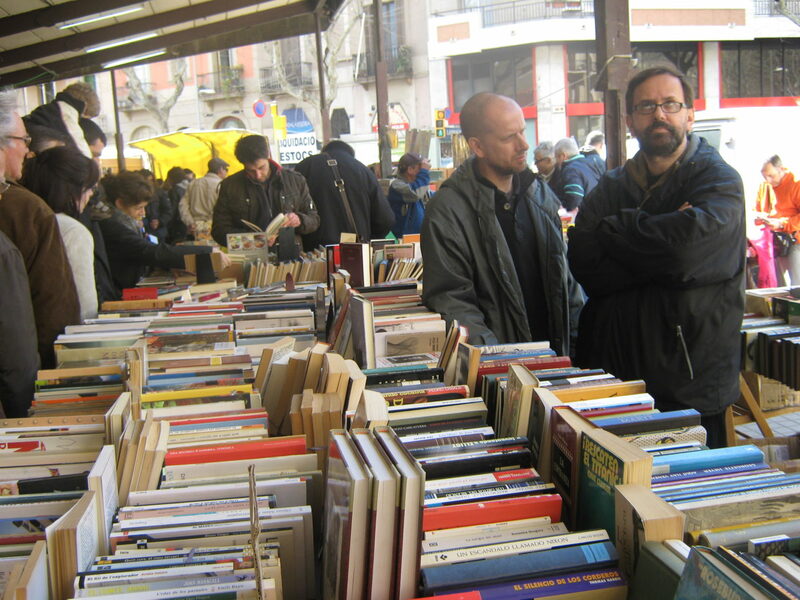 In this market, you can find all kinds of second hand items, antiques, crafts, fashion, etc. and you can make a break in one of the bars of the upper market. 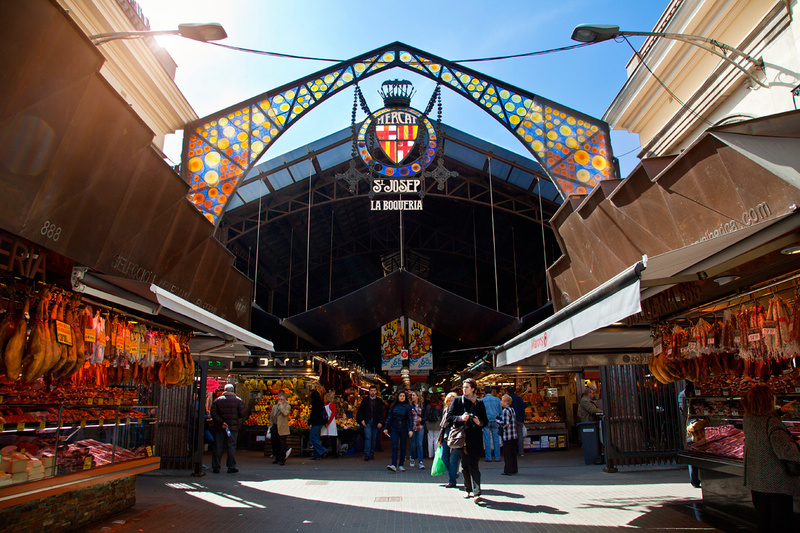 “Encants vells” or La Fira de Bellcaire in Barcelona’s Plaza de les Glòries is one of the oldest markets in Europe. More than 500 professionals and merchants are present day after day,year after year. 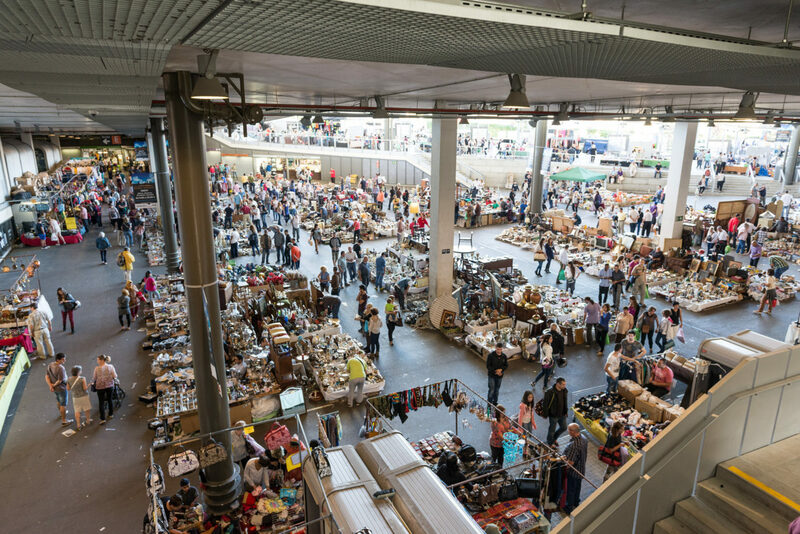 This market of more than 15,000 m² is visited every week by some 100,000 consumers, looking for all kinds of old and new objects, handcrafted or high technology, always surely at an unbeatable price.